When my friends and I attend a serious networking event, we go with open minds and a lively interest. However I must admit that having a piano bar nearby is like hearing “sirens” calling to a shipload of sailors. (And we are the sailors!). 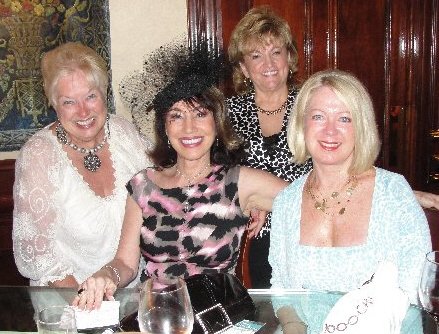 Nonetheless, we dutifully engaged in our first obligation – mingling, chatting and eating – and for me – talking about hats. Mine was a black cocktail hat with velvet-dotted netting bursting upward in a wide array, and a veil sweeping across the face. I wore a sleeveless, silk, print dress and patent leather slip-on high heels. I felt sleek and modern. I immediately spotted my competition. It was a rare form of modern life known as the “well dressed male”. David’s ensemble was impeccable from head to toe. Oh my, you should have seen those shoes! It came as no surprise to learn that he owns a men’s clothier company. A girl can only hope that he increased his client list at tonight’s event. The “good news” this evening was “good news”. By that I mean that I was introduced to Deb from the Tampa Bay Weekender and Amy, a reporter/columnist for the St. Petersburg Times. 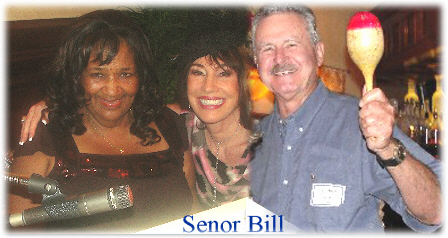 The event itself was organized by Bill with the South Tampa Community News. As I have been lucky on occasion to appear in local newspapers wearing a unique hat, I am always happy to meet these creative people. Our guest speakers addressed the issue of “Promoting Your Event” for businesses. Although the information presented was invaluable, in my own little “World of Hats”, it seems that walking around wearing one and blogging about it to you is a good start! My website is “Coming Soon” and I can’t wait to show you my entire hat collection and share with you more of my hat tricks and secrets. Hats are making a comeback – so stay tuned! Inevitably, we retired to the piano bar where Miss Kitty played our favorite tunes and our friend Bill attempted to accompany her with the “maracas”. He seemed to have entered some sort of “altered state” and I think he was actually “channeling” Desi Arnaz. Ever the good sport, our talented Miss Kitty endured the singing, on key and off, and I would bet my last “peso” that she knows the words and music to every popular song written in the last 60 years – even “The Mexican Hat Dance”! 3 Responses to Net-Working or Not-Working? Meeting new and interesting people is always good. But running into old friends is better. It was great to see Amy again and catch up on old times. 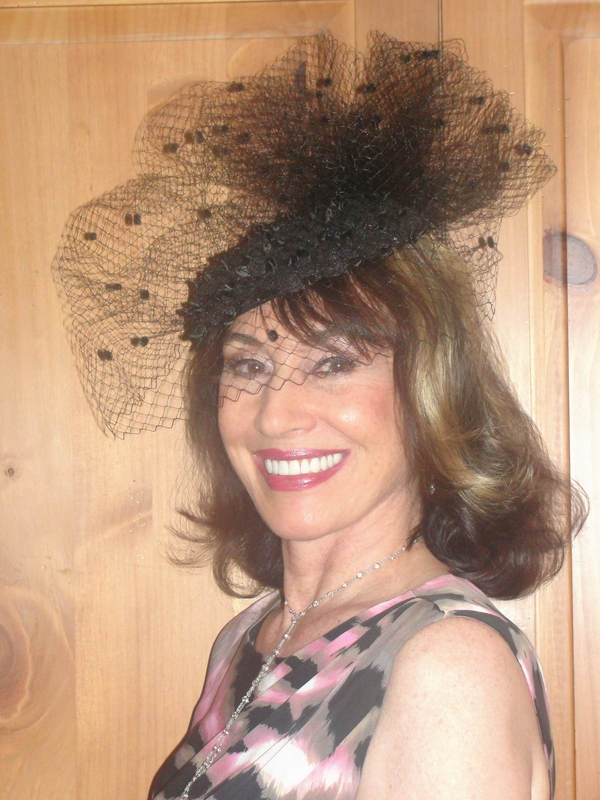 I think she loved the idea of a hat blog written by a beautiful woman in a lovely hat. Soon the word will be out about this mysterious woman-about-town in her many adorable hats and people will be tracking her down just to see her up close and personal. Yes, Patricia, I’m referring to you! Patricia, thank you for your kind words. It is certainly a compliment coming from you. 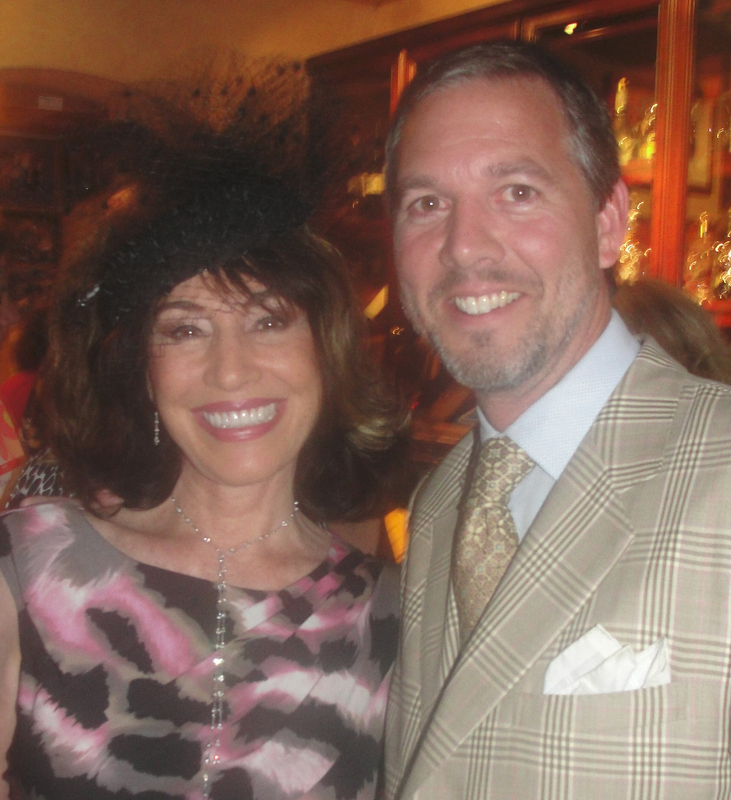 I appreciate and share your passion for clothing and accessories and was delighted to meet you at the event. In addition to my custom men’s clothing collections, I also design custom women’s clothing as well. If you, or someone you know, is interested in an overview of my collections, please let me know. I have some beautiful things that will certainly compliment your hats! Thanks for responding David. You looked fabulous! 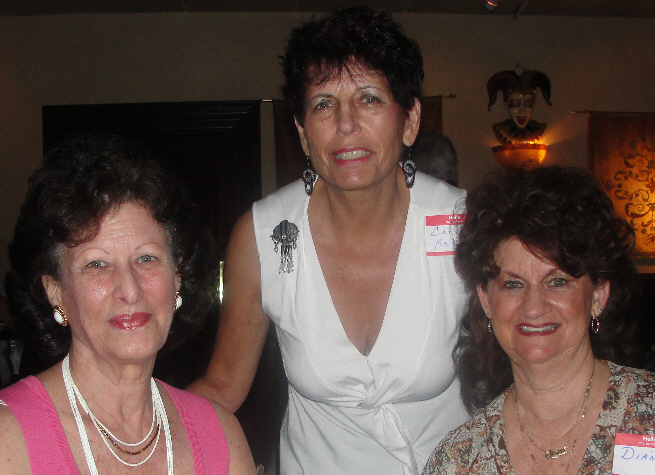 Hope to see you again at the networking event at Donatellos in August. I will let you know when I can talk with you about your collections. I’m sure that they are sophisticated and elegant – right up my alley!